Andre Ayew, Jordan Ayew, Bojan Krkic, Ibrahim Affellay, Yohan Cabaye, and Xherdan Shaqiri. Did I miss anybody? Probably. Have you guessed what I’m getting at yet? Good for you. These players are big names in today’s Premier League. They may not be at the Messi, Ronaldo, Ibrahimovic level, but they’re on the map. Players who have excelled in youth systems and played in major international tournaments and in some cases, even collected some major medals. Affellay, for example, won the Champions League with Barcelona – sort of. Meanwhile, Shaqiri descended from Bayern’s current super-squad with a Bundesliga title. I could go on with the accolades but there is a point to be made here. What are these players doing at Stoke City, Crystal Palace and Swansea City? Believe it or not, we shouldn’t be surprised. I was initially astounded by the ability of the smaller clubs in the league to buy these names over the past couple of summers and really stack their squads. Perhaps we’ve become old men now that we’re talking about how much money there is to be made from TV deals. Let’s think about the competition in the game then. It must be insane if a player of Shaqiri’s caliber has moved to Stoke City. What is causing it? As surprising as this may be and as much as it has altered the rosters and their associated performance expectations of the clubs in the league, this has happened before. 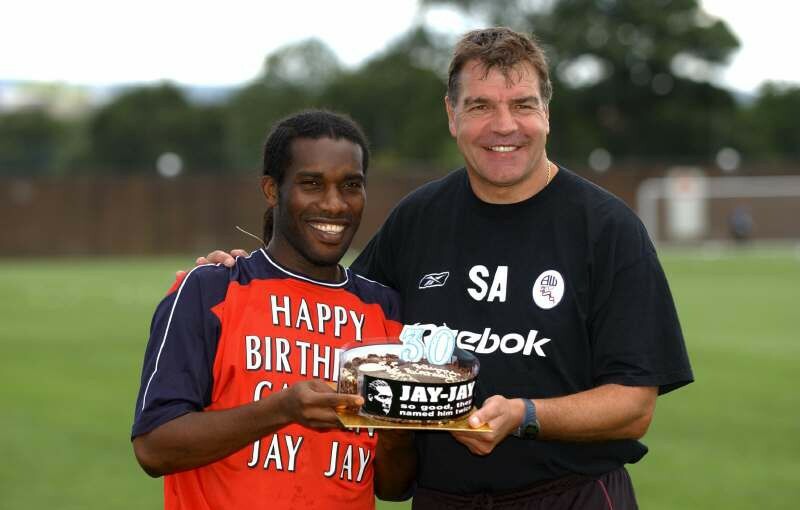 Let’s rewind to the famous Bolton Wanderer’s side under Sam Allardyce in the naughties (03-04). I regularly refer to this Bolton side and for good reason. Here are some names: Youri Djorkaeff, Ivan Campo, Bruno N’Gotty, Jay Jay Okocha, and Ibrahim Ba. Are you *uckin’ serious? That is a team loaded with collectors items for jerseys. We should probably also mention Mario Jardel (345 goals in 443 games), although he did fizzle out both during and after his stint at the Reebok. For any of the aged fans – I’m sure you’ll remember how Bolton tended to start the season strong and then barely scrape through the relegation battle at the end! Was Big Sam a Pioneer? What makes today’s group of players different from the one’s who played for Bolton just over a decade ago? Well…Big Sam may have had some real big names in his squad but they were all on the verge of retiring and had passed their primes. The average age of that Bolton squad was closer to 40 than it was to 30 (I exaggerate mildly). Today’s pool of players are still in their prime and poised to do some damage. Why are we seeing this trend? Here’s my reasoning. The current crop of players who have made these moves are perhaps seeking a new type of challenge – one in which they have the opportunity to play regularly and develop their game, especially with the European Championships coming up. The smaller English clubs are getting richer, but they are simultaneously becoming more accepting of their role as stepping stones for would-be elite players. There is no pretense that Stoke is Shaqiri’s ultimate ambition, or that Jordan Ayew always dreamed of Aston Villa. The two parties are scratching each other’s backs for the time being. It’s kind of like transfer-Tinder. Hats off to these players and clubs for hooking up. I’m sure it won’t be any of these guys’ last moves.